1-CD with 12-page booklet, 11 tracks. Playing time approx. 52 mns. Lu Lafayette is one of the stage names of the 'Wolfsmond' singer Jochen Peters. Jochen Peters was born on 13.01.1953 and died on 11.03.2003. He founded the group 'Wolfsmond' in autumn 1976 and recorded the album 'Snapshots' as 'Lu Lafayette' in 1987. 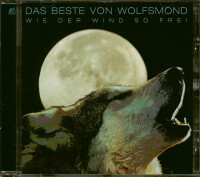 The only time we met was about three and a half years ago, on the occasion of the release of "Das Beste von Wolfsmond", a careful documentary CD of this early German rock band, whose singer and keyboarder Lu (sometimes also Lude) was Lafayette (occasionally also written LaFayette). The bourgeois name of the rocker was Jochen Peters by conviction and he was born on 13 January 1953 in Bremen. Even then, in the summer of 1999, it was difficult to make an appointment with Lu Lafayette. But after many attempts it finally worked out. "When we started with German rock lyrics, there was Udo Lindenberg, but after that we were pretty much the next," he said at the time not without pride, but also confessed that he "didn't feel like performing live anymore" and wanted to wait "until the old fun comes back". Thus the musician, who was also a member of the "Rattles" before he did his own thing in 1976, preferred to play with the pure studio band "No Oil No Dust" (a total of three CDs) in the nineties and discovered Latin American music for himself. But Lu Lafayette was still writing songs and lyrics. 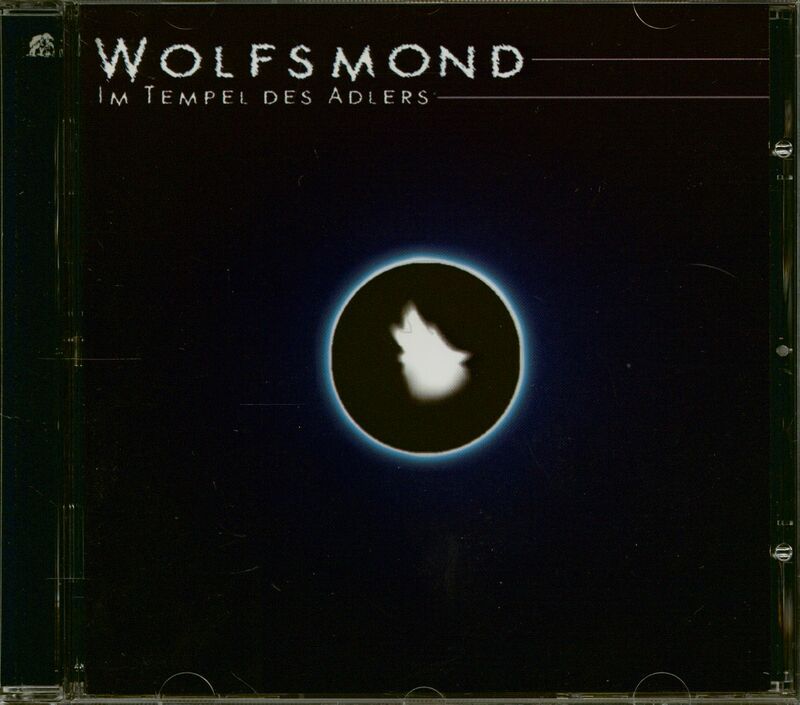 But when the new "Wolfsmond"-CD "Im Tempel des Adlers" was released last year, an interview with the increasingly self-contained musician, who hardly left the house, was no longer possible. As it only became known now, Jochen Peters alias Lu Lafayette died in Achim on 11 April, just under a quarter after his 50th birthday. He is now, to quote one of his most famous songs, "Like the wind so free". One of the most independent and charismatic German rock bands, which from around the mid-seventies enjoyed an ever increasing popularity, is without doubt the North German formation Wolfsmond. Her head Lude LaFayette alias Jochen Peters (compositions, vocals, keyboard instruments, guitar) founded the group in autumn 1976. 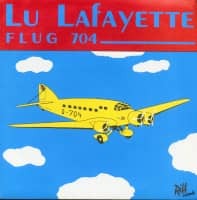 From the very beginning the band committed themselves to a straightforward, pleasantly uncomplicated rock music, which was characterized by the unmistakable vocal style of LaFayette and its successful lyrics. Peters had been a member of Gash and The Rattles until the founding of Wolfsmond, with whom he recorded the works 'Tonight: The Rattles Starring Edna' (1972) and 'Gin Mill' (1974). Afterwards he found in George Meier (guitar), Rico Christian (guitar), Joseph Hess (bass) and Kai Stellmann (drums) the suitable reinforcement for his own band project. Already in spring 1977 the debut album 'Lude LaFayette's Wolfsmond', produced by Frank Mille, was in stores. A work on which the music magazine 'Sounds'..." discovered songs from travelling on the BMW and in the night express with pulling drive, quieter pieces of love, and the old rock archetypes of the stranger and the lonely (wolf)". From now on Wolfsmond went on tour every year as a band and had his first TV appearance in the ZDF show Disco 77. At the end of 1977 it came to the first of many other changes within the band. Besides Lude LaFayette and George Meier, the group now included producer Frank Mille (bass) and George B. Miller (drums). Besides LaFayette, George Meier remained the only member of the band until the end of 1982. He contributed many a brilliant guitar solo to LaFayette's arrangements and sang two of his own songs: Surf and carry me away. The second album with the title 'Radio Rock 'n' Roll' was noticeably rockier. 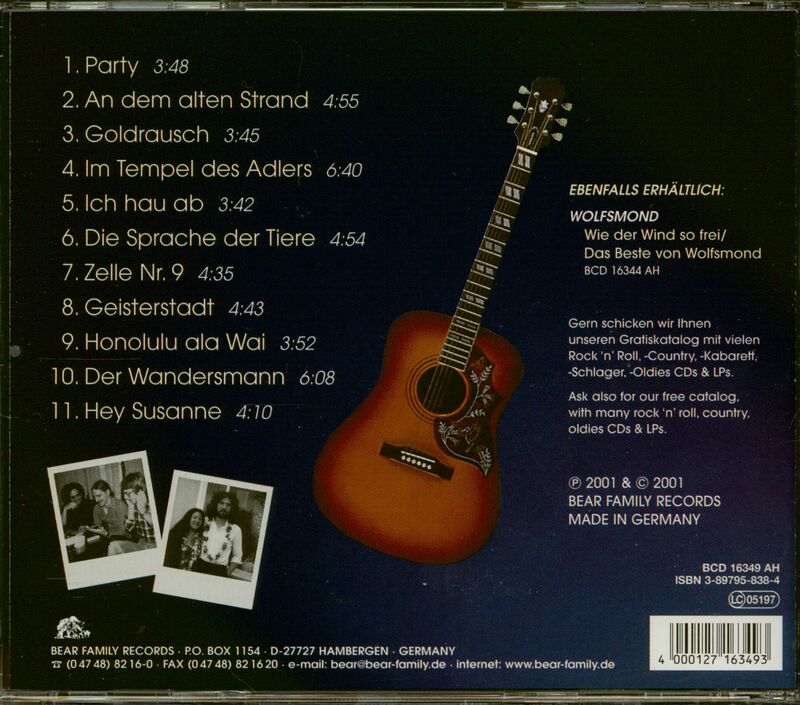 The 'Hamburger Abendblatt' rightly did not assign the disc - despite local lyrics - to the Schlager genre, but recognized powerful, German-language rock music. Once again the band stood in front of the camera, this time in the ZDF television film 'Keiner kann was dafür' (directed by the German Federal Film Prize winner Uschi Reich), a story about the problem of youth unemployment. The music was composed by LaFayette. 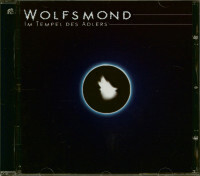 In a new line-up Wolfsmond produced the third LP 'Traumzeit' in summer 1979. Besides LaFayette and George Meier, Gerd Boettcher (guitar), Volker 'Volle' Schwanke (bass) and Mike Bach (drums) were now with us. The TV magazine 'Hör Zu' wrote about 'Traumzeit' "...great melodic rock, which is characterized by a pleasant atmosphere and successful lyrics." The 'Traumzeit' musicians also recorded 'Verwandelt! ', the group's fourth album. Curiously enough, the cover photo shows a line-up that went on tour afterwards but hadn't recorded the record. With this LP the band expanded their stylistic range. She now added bizarre and surreal elements to her straightforward rock in combination with country and folk elements - a mixture that met with positive feedback from the fans and was awarded the German Music Prize 1980 by the Phono-Akademie. The following spring, the line-up changed again: George B. Miller (drums) joined the band for the second time, and bassist Harald Konietzko joined the band. 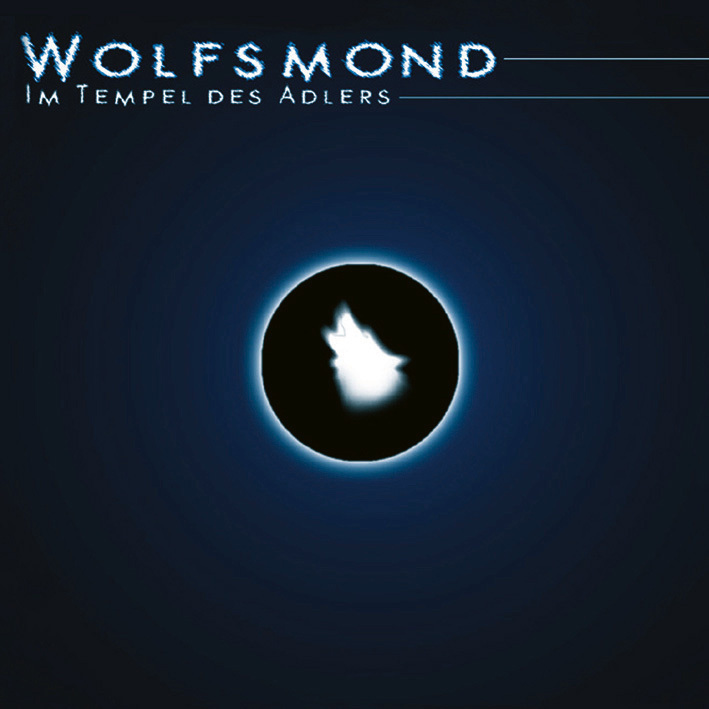 Wolfsmond recorded the album 'Fühl dich frei!' at the end of 1981 with producer Edo Zanki, himself an established figure in the German rock music scene. The single release For me it is Rock 'n' Roll became a real radio hit. The song made it to number 5 in the funk charts and the band went on a 70-concert tour. In spring and autumn 1983 LaFayette recorded the singles Auf der Reise and Ich miss dich with studio musicians. Both titles remained for weeks in the top 20 of the German radio charts and were presented in the context of the Berlin Funkausstellung 1983 at various TV shows in the playback process of Wolfsmond. With the expiration of the record contract the chapter Wolfsmond was now provisionally terminated, and Peters went with his wife Joey-Ann for six months to Hawaii. After his return he worked for various artists and bands as keyboardist and guitarist, among others 3 years ½ for the Emsland Hillbillies. In 1987 LaFayette's solo album 'Snapshots' was released with cover versions of Chuck Berry and the single Flug 704. At the end of the 80's LaFayette Wolfsmond resuscitated for some live performances and released 1991 with 'Auf heißer Spur' another album with bassist Helmut Hattler (Kraan). Customer evaluation for "Im Tempel des Adlers (CD)"